This interview was originally published in Scope magazine by Credit Suisse Asset Management. Mr. Khan, why is the topic of impact investing important? Iqbal Khan: Credit Suisse has been in the field of impact investing for over 15 years. In the last few years, we have noticed that interest in impact investing has grown significantly among wealthy individuals. Partly because of the values of the younger generation, the so-called millennials. How they look at the world will have a lasting impact also on the financial sector. A major factor that unites this generation is a sense of collective responsibility for the well-being of the world. In terms of investments, millennials want to see not only financial returns, but also what positive impact their investments have on society or the environment. They shape new investment trends. What expectations does the next generation have of a financial services provider? The next generation does not want to pay a bank to simply preserve and manage the wealth their parents and previous generations have created. They are looking for institutions that can help to marry their financial needs with the needs of wider society. One of our younger clients has recently said that the conversations a client advisor would have with his father were completely different from the ones with him. He stressed how important it was for him to see at one glance what kind of impact his investments have. While his father would like to see the financial return first, the younger client would like to see return and impact side by side. What is the difference between impact investing and sustainable investing? In terms of asset classes, impact investing today is largely (but not exclusively) limited to private equity, venture capital, and private debt alternatives, while sustainable investing spans all asset classes. We see sustainable-driven investments as rapidly becoming mainstream, and in due course we can see a world where all investments start with an ESG overlay and just become part of the traditional investment process. Do you see any additional benefits of impact investing? Yes. The long-term nature of many of today's impact investments is of interest in volatile markets as they can be defensive and help to diversify a portfolio. The cash flows of these investments usually do not depend on the whims of capital markets but instead on the operations of the underlying social enterprises and therefore are tied to a real economy. Nonetheless, despite the growing interest, sustainable and impact investing remain a niche. What is holding back impact and sustainable investing from becoming mainstream? Impact investing is a new market and is currently limited by three things: first, a combination of size and diversity of impact investment opportunities; second, a lack of investor understanding of what impact investing is and the benefits it can achieve in comparison to traditional investments; and, third, the lack of a long history of performance data. Take the Blue Economy, for example, the newest arm of impact investing. In GDP terms, the ocean is the world's seventh largest economy and it's a very attractive, fast-growing, sustainable business and market opportunity. However, existing solutions to make an impact in ocean conservation are not yet on the scale needed to address the magnitude of the challenges. But, like the entire impact investing space, it's a market in the making. 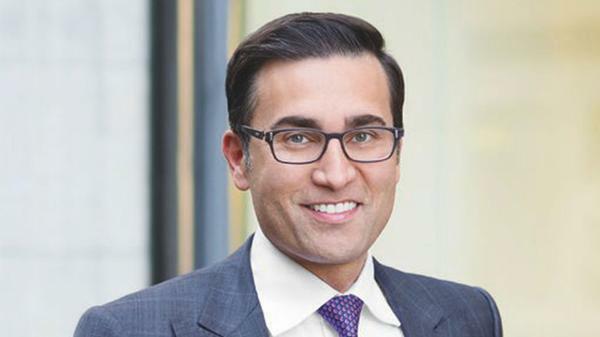 Mr. Iqbal Khan is a member of the Executive Board of Credit Suisse and CEO of International Wealth Management, which comprises the wealth management businesses in EMEA and Latin America, as well as Global Asset Management. Prior to assuming his current role, he was CFO of Private Banking & Wealth Management. Iqbal Khan has an Advanced Master of International Business Law (L.L.M.) from the University of Zurich and is a Certified Financial Analyst. 2018 marks the 16th year of microfinance and impact investing at Credit Suisse. Since the early days as co-founder of the specialized asset manager responsAbility in 2003, Credit Suisse has continued to innovate financial products and services that cater to the specific needs of people at the base of the wealth pyramid. Credit Suisse currently has over USD 3.3 bn in assets under administration, and close to 5 000 clients invested in microfinance and impact investment products.